Baked Parmesan Drumsticks Mama Say What?! | Mama Say What?! 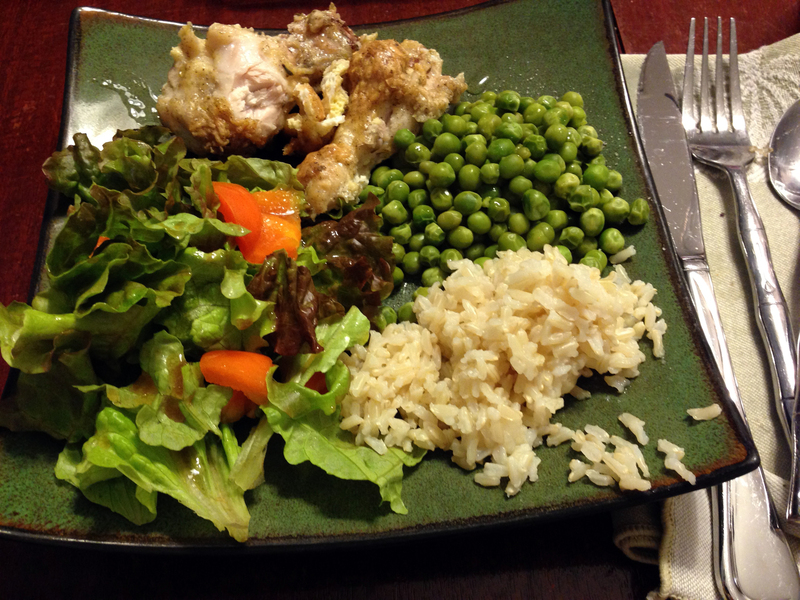 Who out there struggles with meal planning and cooking at home? Anyone get tired, forget to prepare things ahead of time, and wind up ordering pizza too often? No, just me? Actually, it was me before digestive illness and a massive dietary change forced me to figure out how to plan and cook healthy meals every single day without relying on those restaurant meals and convenience foods. For months, I everything I ate was made from scratch. Breakfast, lunch, and dinner. I still gave my husband and my kids some store-bought foods, but I had to have a plan for myself every day, and I had to stick to it. As you might imagine, the easier and faster a healthy recipe is, the more likely I was to make it multiple times. We found some real winners, and I want to share this one with you – it happens to be gluten-free and even grain-free for those of you who are on special diets! It’s also clean eating. It’s simple and quick, and my family absolutely loves it. As an added bonus, it’s also pretty easy to double, so now it’s a recipe I pull out if I need to make dinner for a crowd or an extra pan to bring to a friend in need. 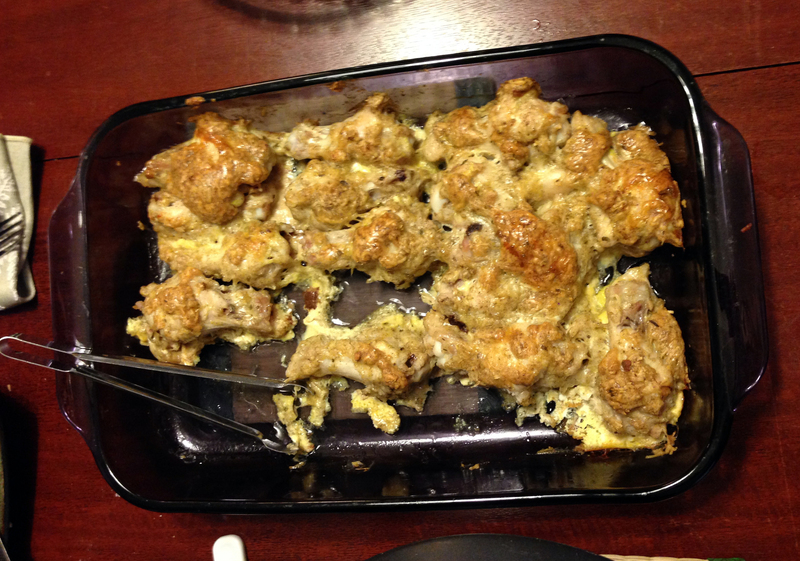 I present to you…Baked Parmesan Drumsticks! Butter a 9×13 baking dish and preheat oven to 400° F.
Beat the eggs in a shallow bowl. In a shallow container, combine the cheese, salt, pepper, and seasonings. 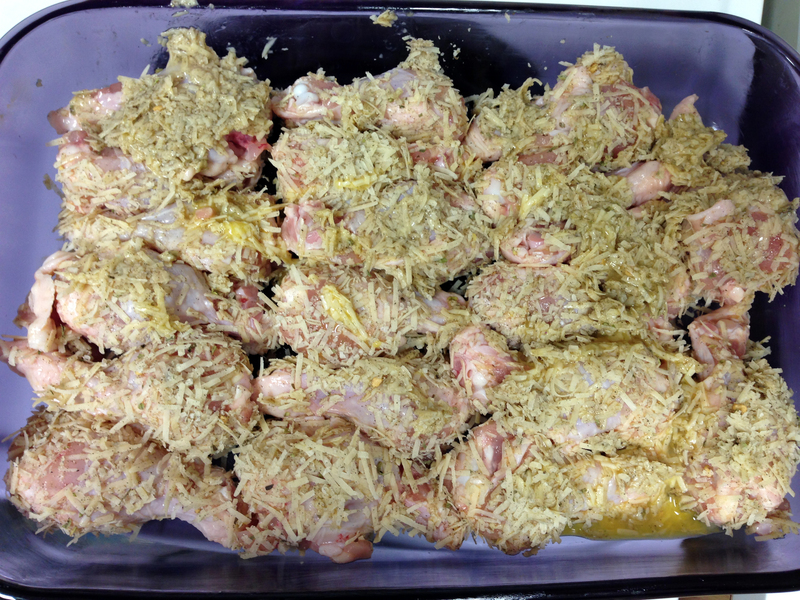 Dip drumsticks into egg to coat, then roll in cheese mixture and place in baking dish. Bake 30-40 minutes or until golden brown. 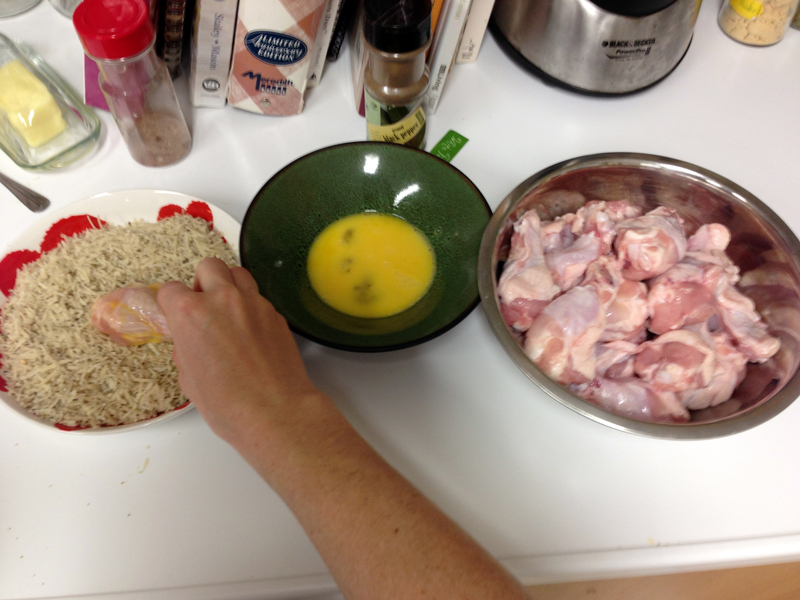 Larger drumsticks will take longer to reach a safe internal temperature. 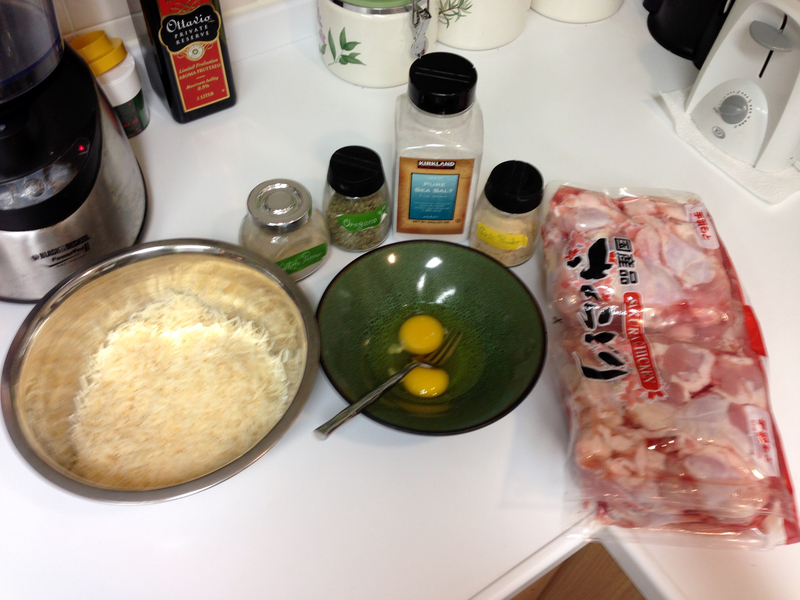 I use packs of chicken drumsticks from Costco, and double the recipe if I’m going to use the entire pack. I also prefer to use block cheese than pre-grated cheese, so grating it adds a few minutes, but it still takes me about the same amount of time to prepare these as it takes my oven to pre-heat. *I have also made this recipe with 1:1 ratio of grated parmesan cheese and almond meal, and that also makes a delicious grain-free meal! In a shallow container, combine the cheese, salt, pepper, and seasonings. Larger drumsticks will take longer to reach a safe internal temperature. Added by Christina D. on March 9, 2016.